I’ve looked at super creative wedding websites, and, of course, fell in love with them, but realistically, for my technological sense, I couldn’t engineer a super cool website. I did, however, publish a website that has all the important info with it. To be honest, I wish I was getting married in the future where you know that paper invitations will be reduced to a postcard telling you the couples’ web address. I love my invites, but that is where the future is headed. It’s really an easy task to create your own site. You first need to log onto another website. Think of it as a vehicle for your website. 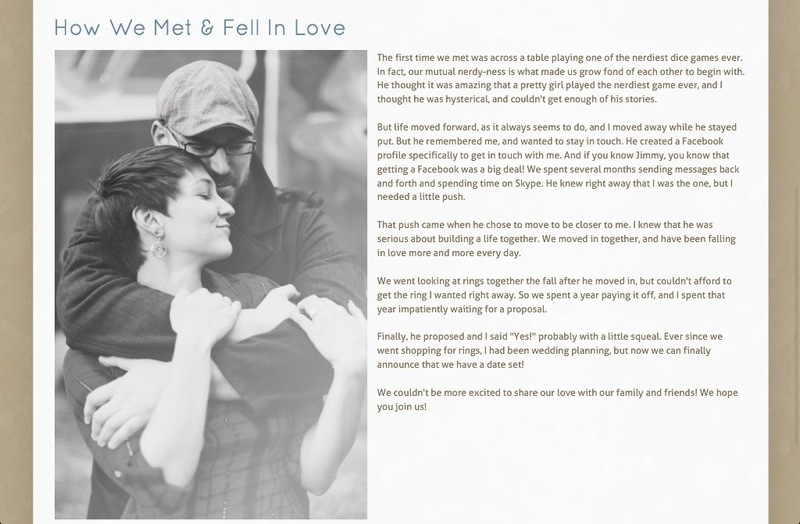 You can use WordPress, which is how I created Flat Broke Bride, you can use Blogger, but I actually went for a lesser known vehicle for my wedding website. I do want to say that this is in no way an endorsement for this site, it sincerely just happens to be what I picked. The site is Weebly.com. I feel like I originally picked it for its funny name. But I really believe that it’s probably the most user-friendly choice. It’s a drag and drop situation. This may not allow for a whole ton of creativity, but for those of us that aren’t web-page-building savants it gets the point across, and still looks pretty. Once the site is created, what do you say? 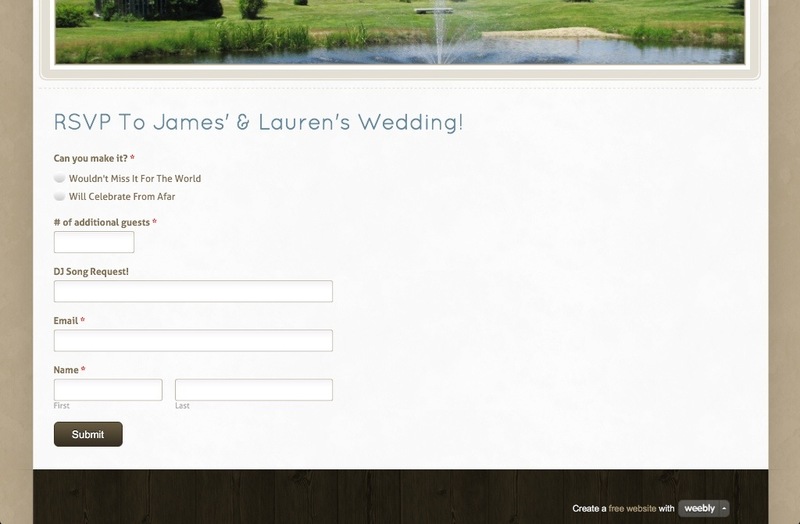 1) Create a page specifically for your wedding information. I gave the date, the time, the address, the attire, and accommodations. Your guests need a place where they can go and get just the facts. It doesn’t have to be the home page, just make sure it’s clearly labeled. 2) Make an RSVP page. It will be great, especially for organization’s sake, to get RSVPs via email. It’s also always good for your guests to have another avenue to RSVP, especially if they lose your invitation! 3) Show off YOU. It’s a great way to show all your guests your engagement pictures, and tell the story of how you fell in love or got engaged. 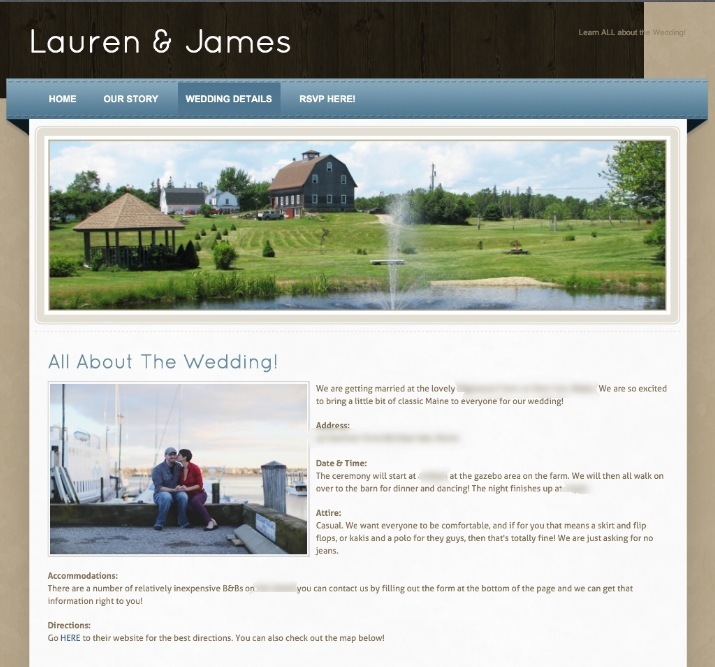 You can also add a blog to the site if you want to talk about your wedding projects. It’s a great way to show off your flare as a couple! 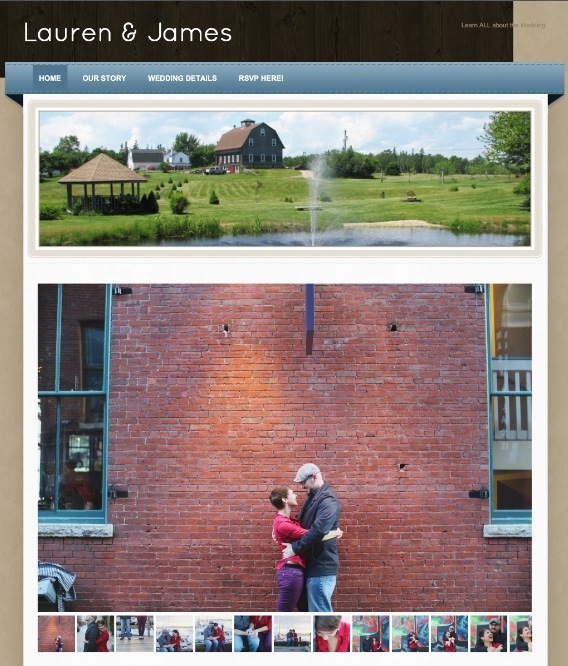 Let me in on what you guys did for a wedding website! Was it awesomely creative?